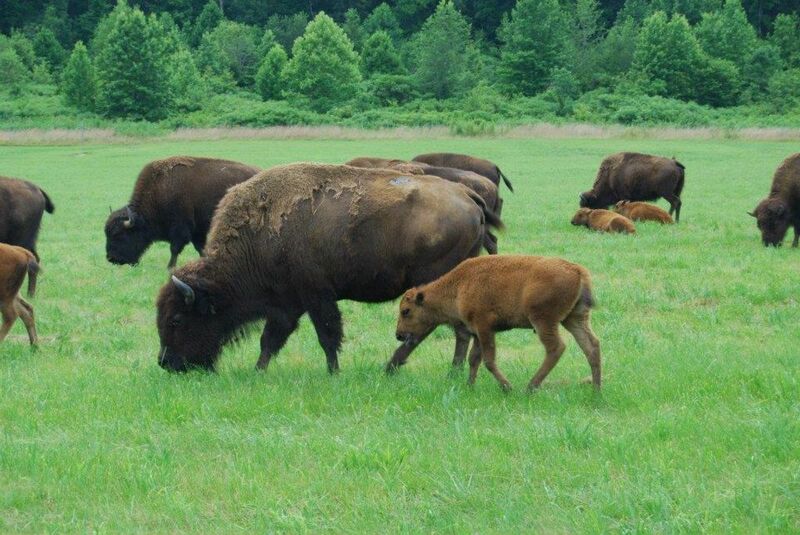 The South Bison Range sits alongside the Woodlands Trace National Scenic Byway across from The Homeplace — south of the Tennessee state line. Visitors view bison roaming in two adjacent 100-acre pastures from the road. Bison can be very dangerous during mating season and with their young calves. Stay back from the fence if bison are near; bulls have been known to charge the fence and escape.